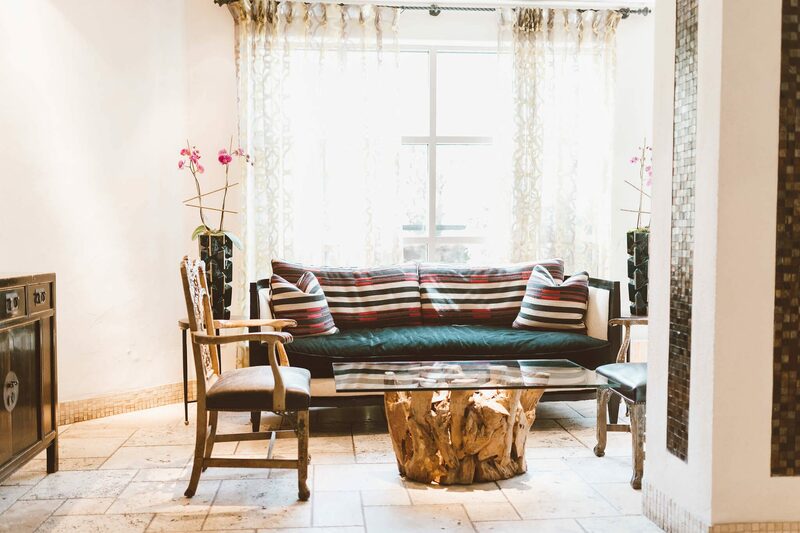 Extravagant mix of luxury and style awaits you at the Hotel Zaza Dallas, where bold colors and furniture styles provide a unique experience at this boutique hotel you can only find in Texas! 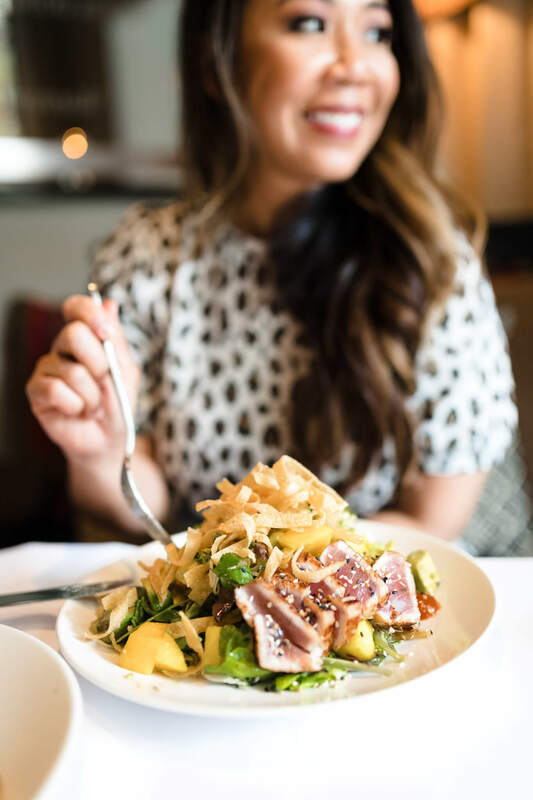 This is a sponsored post with Hotel Zaza Dallas where I received a complimentary stay. I do not earn commission from any bookings or affiliate sales. As always, my reviews remain honest, and all opinions are my own. All photos by Marrica Evans of Marrica Evans Media LLC (unless noted). This young lady is full of life, and she makes you feel comfortable in front of the camera and makes you laugh! You can follow her on Instagram @marricaevans or go to her website. 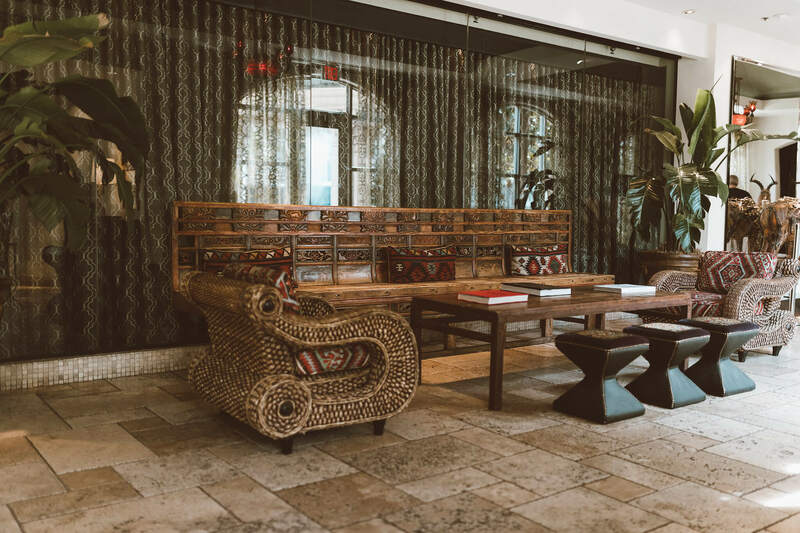 Hotel Zaza is a Texas boutique hotel chain and currently has four hotels – Uptown Dallas, Downtown Houston Museum District, Houston’s Memorial City District, and Downtown Austin (opening this summer 2019). The original Hotel Zaza is one of the top themed hotels in Dallas, as you can see in the pictures. 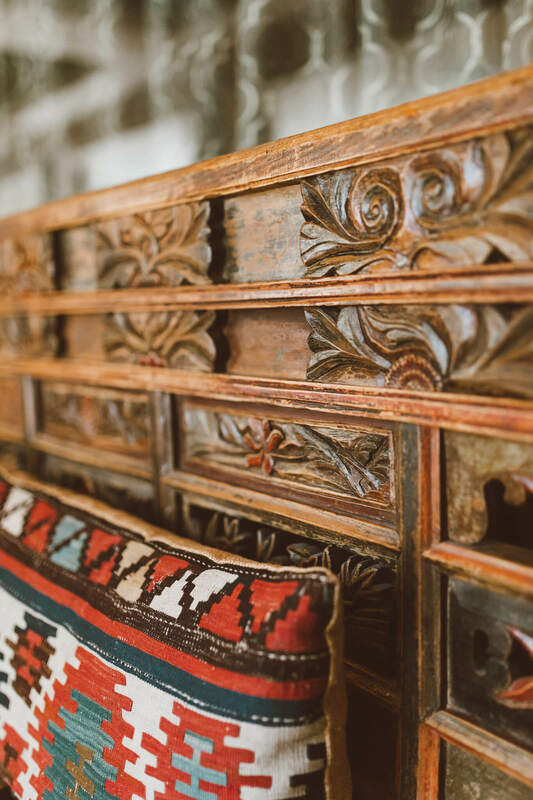 Throughout the hotel, you’ll find an eclectic array of designs where distinctive elements from different parts of the world are on display. 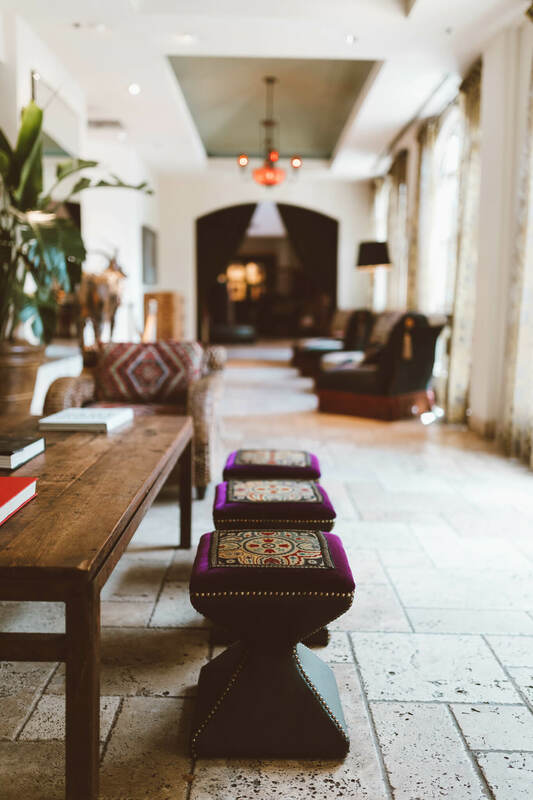 The integration of cultures adds a bit of flair, mixing details anywhere from Moroccan chandeliers and pendants in the hallways, East Indies wood furniture designs, African artwork in the lobby, and Old Hollywood glam pictures scattered throughout the hallway. Fresh indoor plants are prominent throughout the hotel, which adds to an inviting and enjoyable atmosphere. 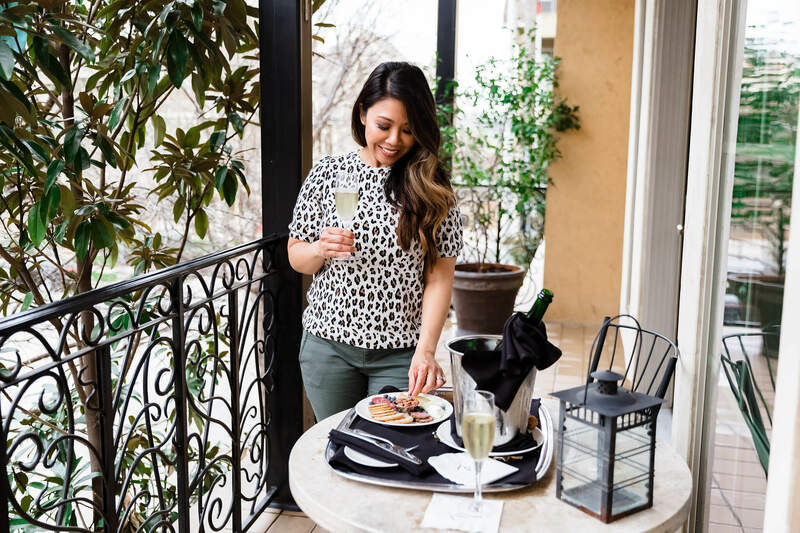 Somehow it is all done in a way that says you are someplace special, with a look and feel that would be hard to duplicate, all in a convenient part of Dallas, providing a great escape to truly enjoy! 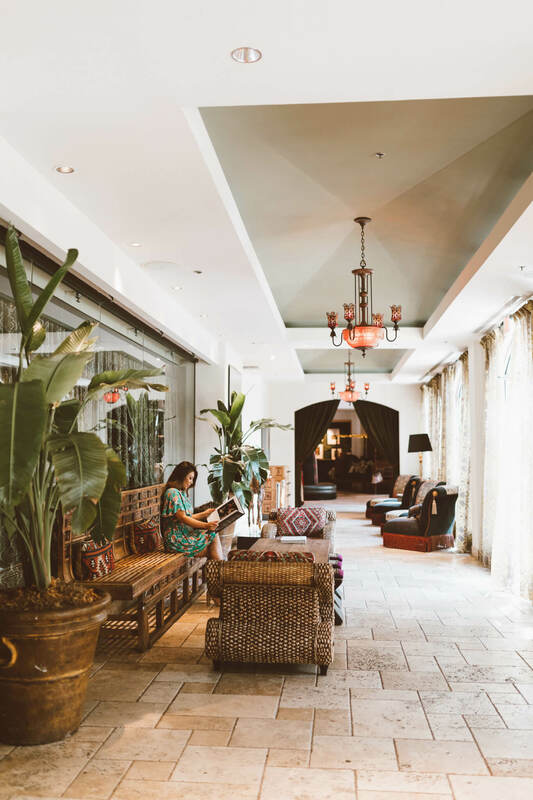 Hotel ZaZa offers many room types: traditional guestrooms, Concept suites, Magnificent Seven private suites, and The Bungalows located across the hotel. 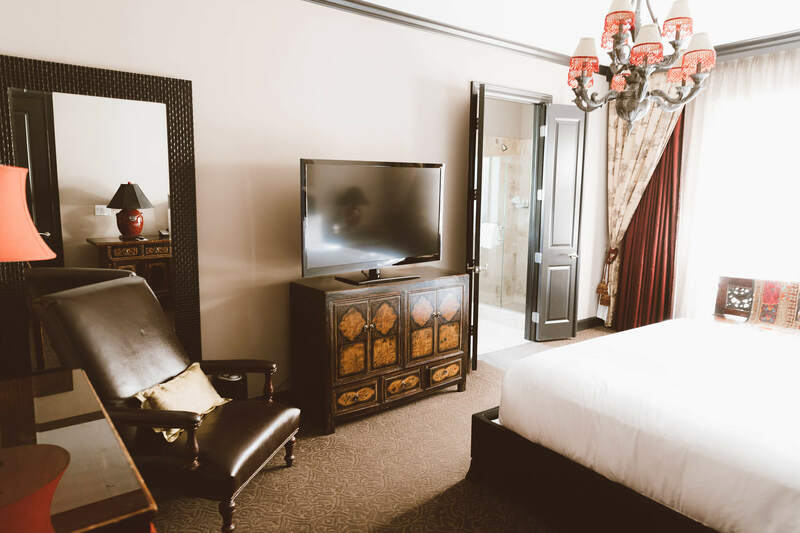 Rooms include complimentary Wi-fi, 42-inch flat panel TV, stereo systems with iPod docking station, luxury bath amenities from C.O. Bigelow, plush robes, fridge fully stocked with snacks and beverages (fee applies). 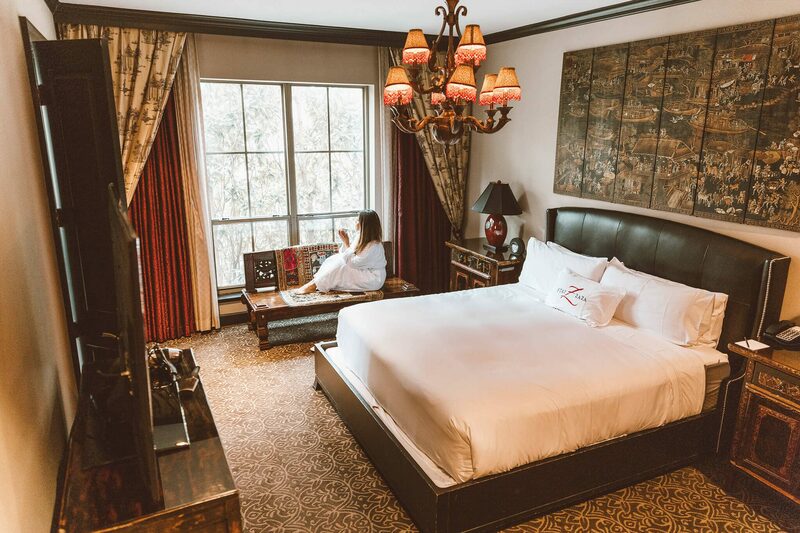 Guestrooms range anywhere from a Superior King at 384 sq ft to a Premium Balcony Double at 625 sq ft. Sleep in style with a comfortable Simmons pillowtop bed. 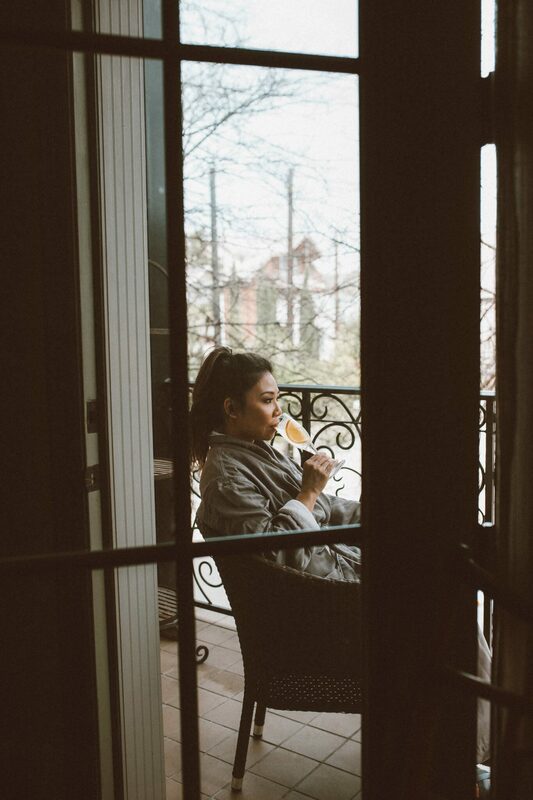 There are 19 unique Concept suites at the Hotel Zaza Dallas. 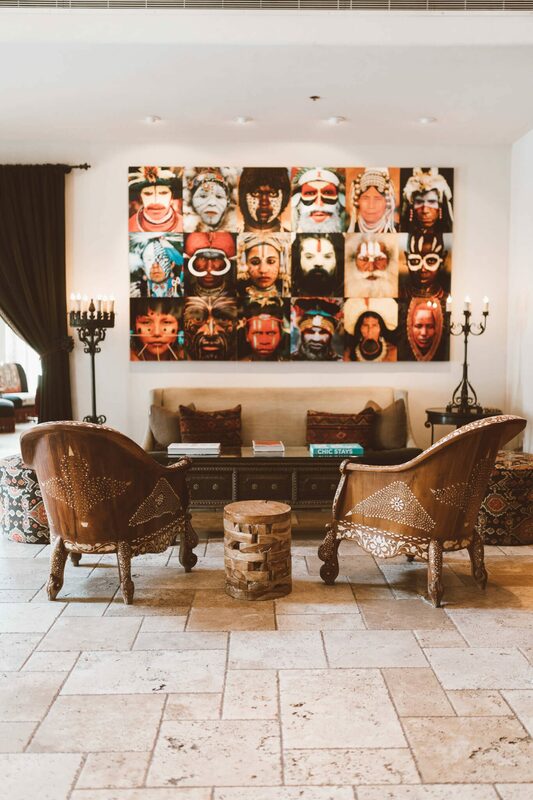 You’ll find suites that are decorated and aptly named after its design themes such as Out of Africa and Metropolitan. 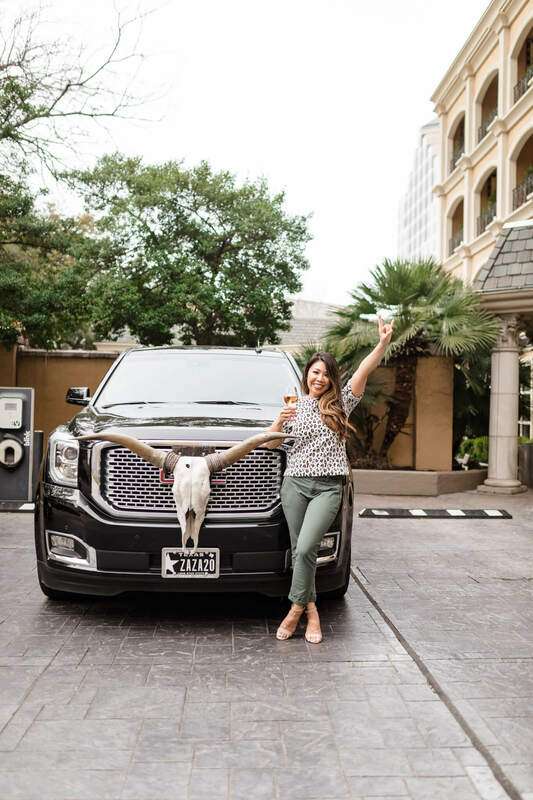 Remaining true to its roots, it’s only appropriate to have suites like Texas where Texas leather, cowhide, and horns are prominent throughout the room and Zaza where you surround yourself with French elegance including rich tapestry and glamorous furniture. 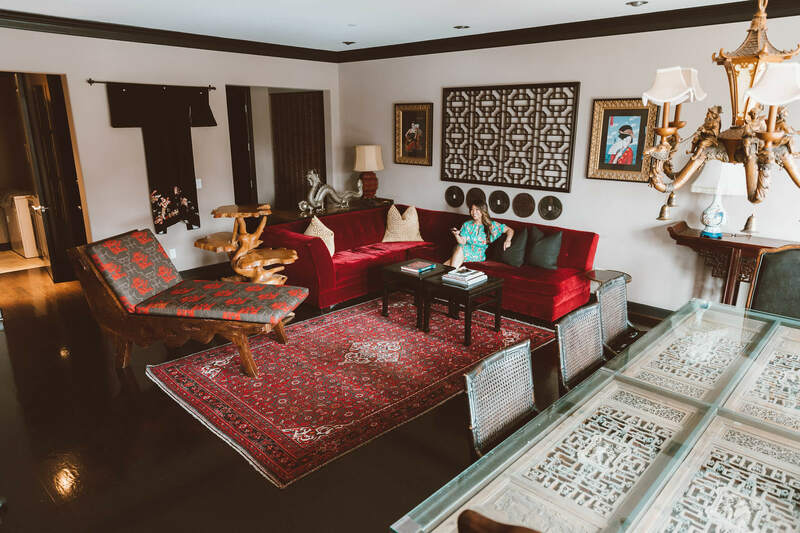 We were fortunate to have experienced one of their Magnificent Seven private suites. Each suite has a unique design and personality! 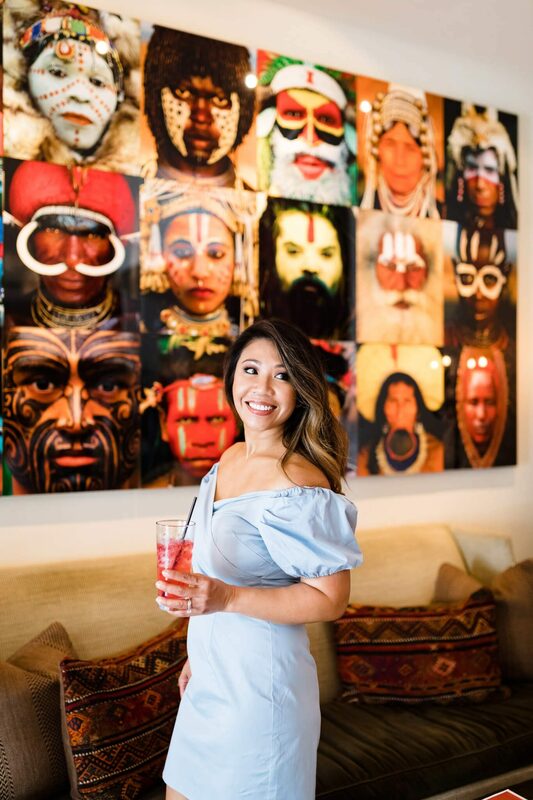 We stayed in the Crouching Tiger suite which has Asian-inspired designs incorporating rich silk fabrics, exotic wood finishes in ebony, teak, bamboo, rattan, and rosewood, and a collection of Asian art including paintings, prints, sculptures, and decorative art. 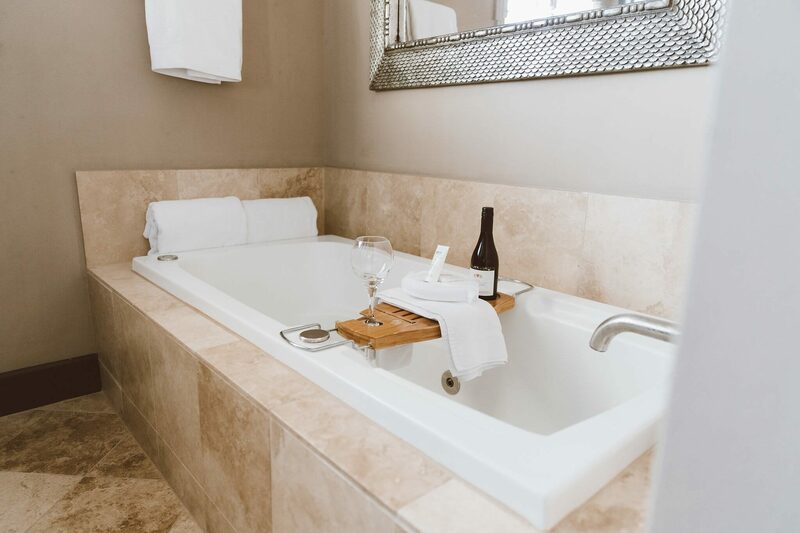 This 2,145 sq ft suite features two bedrooms (each with a king-size bed), 2.5 baths with both guest rooms having dual sink vanities and soaking bathtub and in the master bath – a frameless walk-in shower. 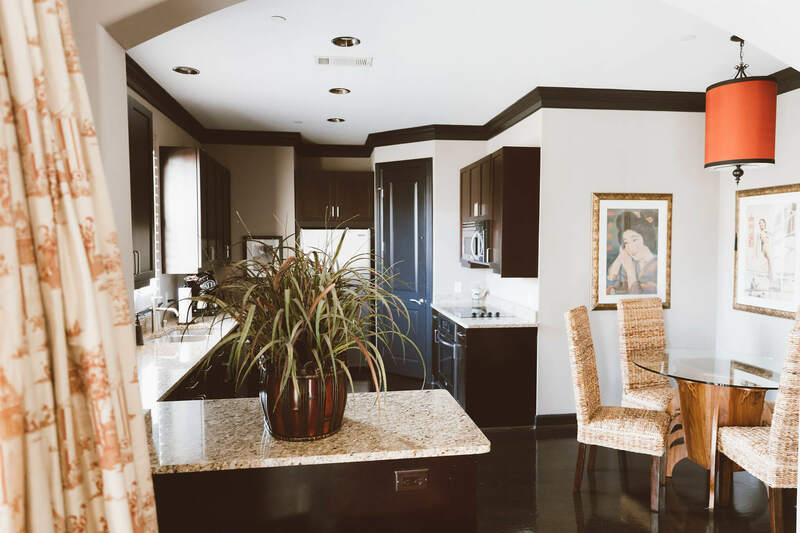 The kitchen was fully equipped with the latest stainless-steel kitchen appliances and stocked with flatware, glassware, tableware, and utensils. There was plenty of space when it comes to dining with a casual dinette table for 4 and a formal dining table suitable for 8. Want to be outdoors? No problem, there’s a full terrace where you can lounge and enjoy a charcuterie platter and toast to a good weekend! Get this – it also had a laundry room with full-sized washer and dryer for extra convenience! This unit was so spacious and luxurious; it felt more like a downtown penthouse than a hotel suite! 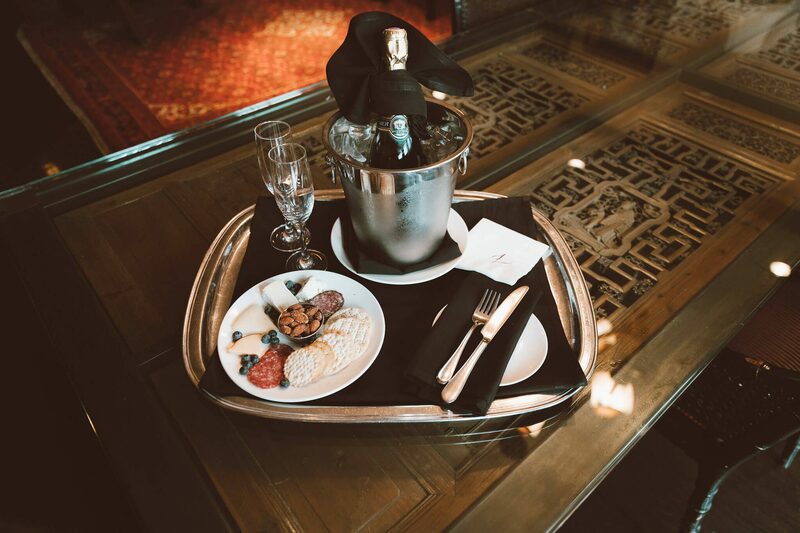 As if being in a beautiful, spacious suite was not enough, Hotel Zaza puts a finishing touch to your day by doing a votive candlelit turndown service and adding a couple of delicious chocolate pieces for a one-of-a-kind experience! These suites can also be converted to host small social events or meetings. These 12 new suites are located across the street from the main hotel and were created to provide a comfortable feeling of being “home away from home.” With the exquisite touches and designs only Hotel Zaza can provide, the Hotel Zaza Bungalows provide extra perks – fresh Odwalla juices, Greek yogurts, nightly fire at the courtyard, and even an open-air GEM car service. This well-equipped gym has everything you need for a good workout! The hotel has a variety of aerobic and weight-training equipment. They even had a TRX station which you don’t often see in a hotel. 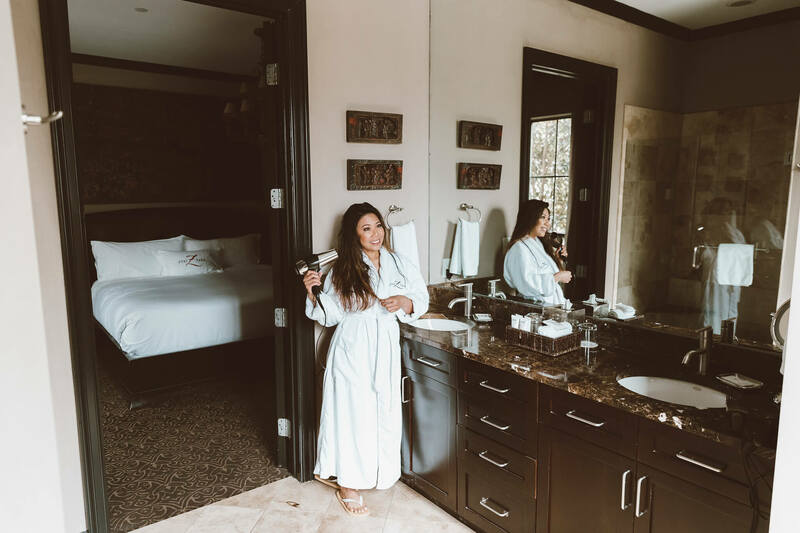 I found it interesting that it was placed right across the hall from the spa – a good reminder that you need to take care of both the outside and inside of your body! 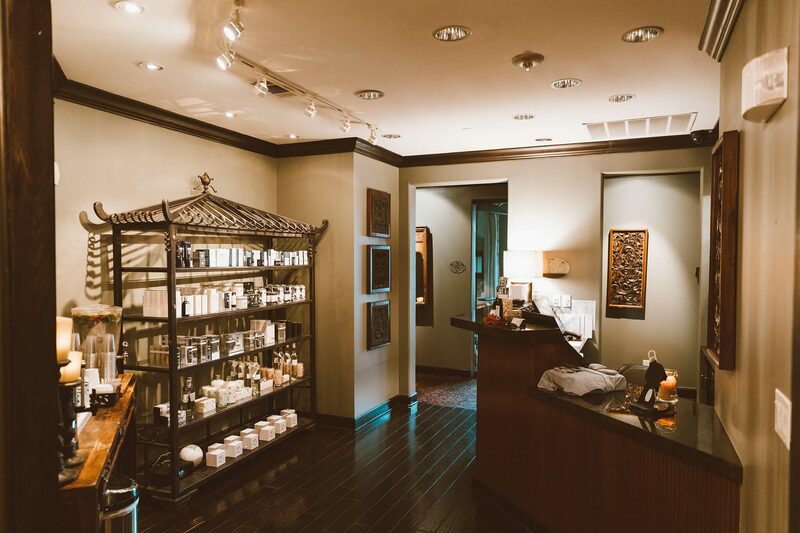 ZaSpa offers an array of services including facials, massages, and body treatments. They have a first-class establishment when it comes to the level of service and products! 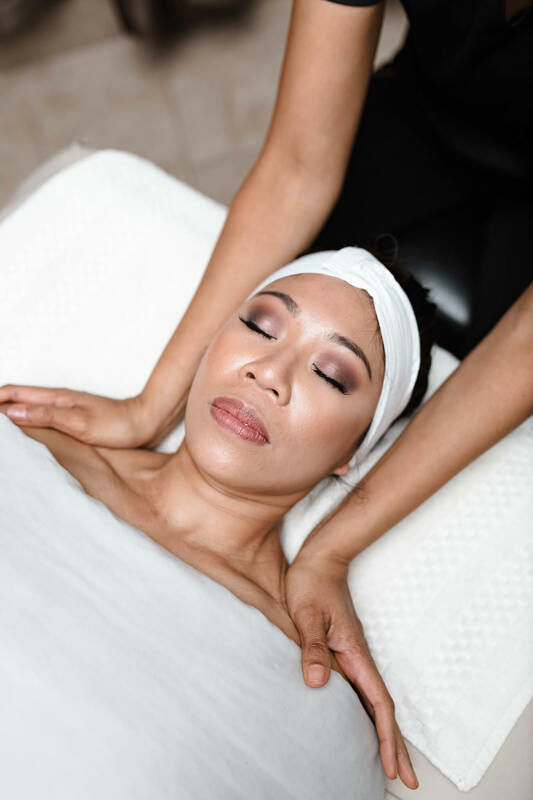 Some standout services worth noting are their prenatal massage (available for the perfect relaxation and stress reducer) and their couple’s massage (a lovely treat for a romantic getaway)! As for face treatments, I had ZaSpa’s signature facial done, and the esthetician was superb! She was knowledgeable, professional, and had that magic touch! I left there with glowing, dewy-looking skin, and I couldn’t be happier! 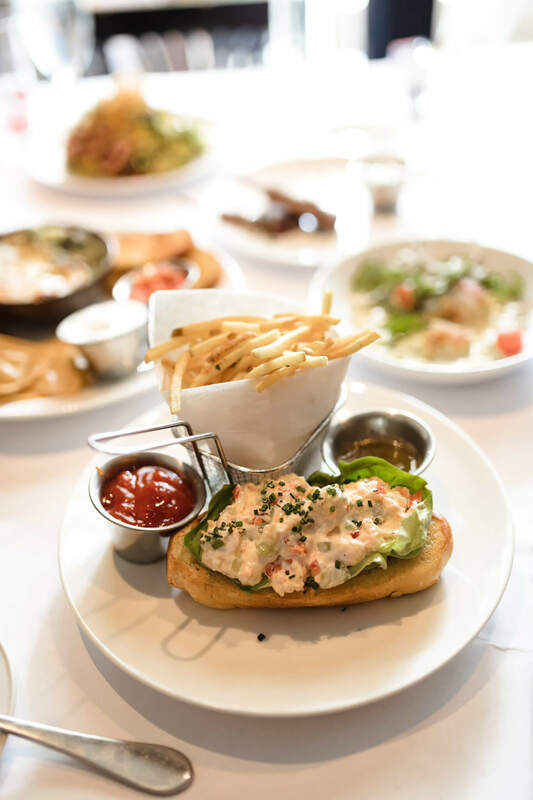 Dragonfly serves diverse American classics and is open for breakfast, lunch, and dinner. 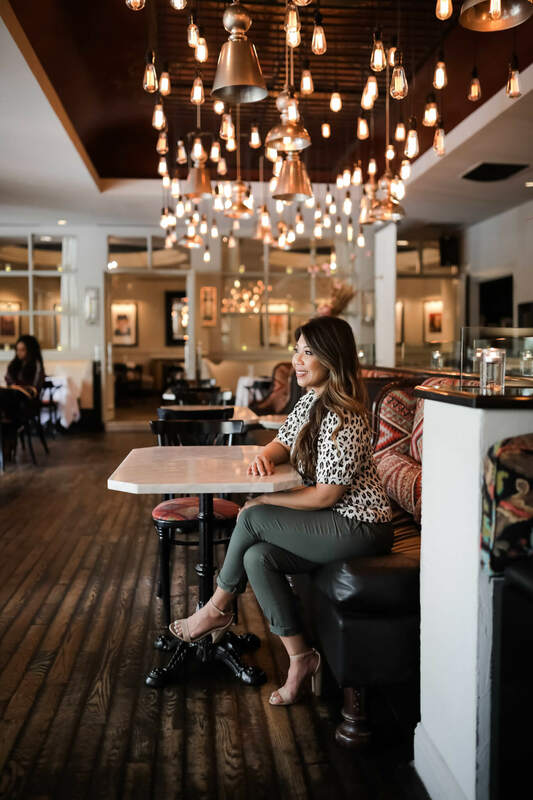 The atmosphere at the restaurant is that of retro-bistro design – the stylish pendant lighting provides a warm feeling, and the tables and chairs bring an overall sense of sophistication. The restaurant also extends its service to the pool area, which is located right outside the restaurant. 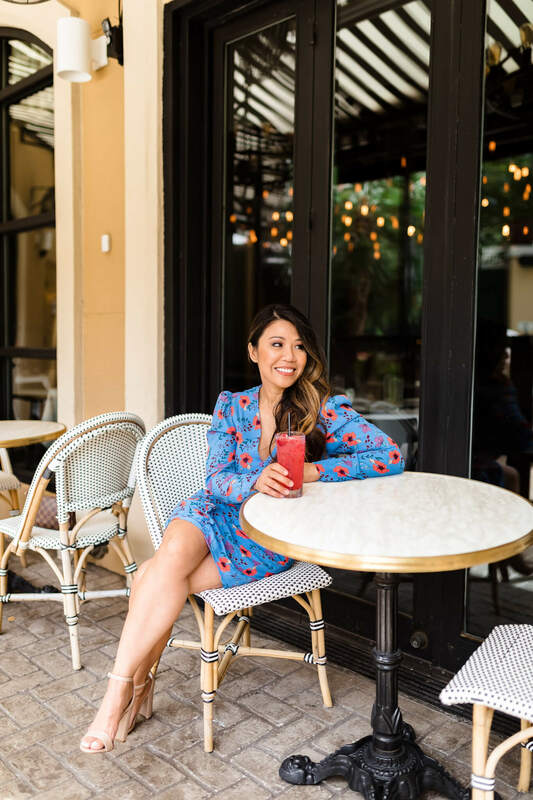 While there, I enjoyed some delicious mixtures from the bar and enjoyed a great lunch while overlooking the pool and fountain areas. They also have a wine room which you can reserve for special meetings or events. 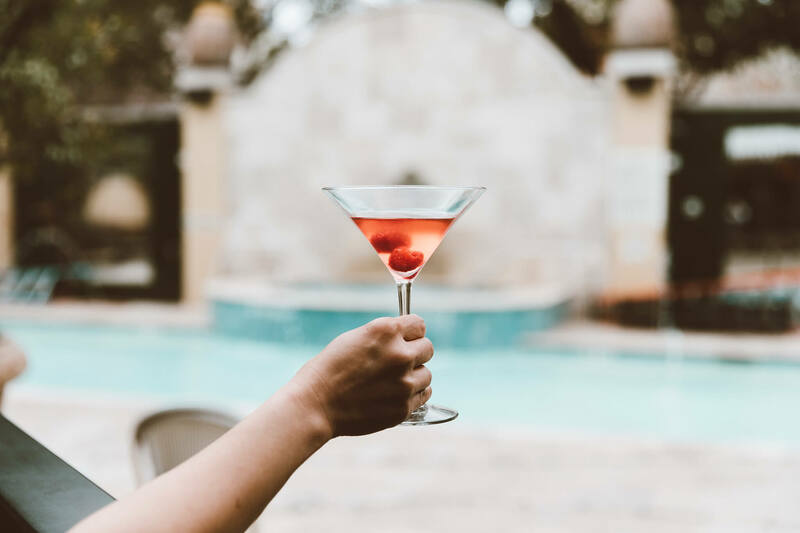 Relax at their poolside at Zaza! Have drinks, swim in the glistening blue water, or fall asleep in one their lounge chairs as you bask in the warm sun! 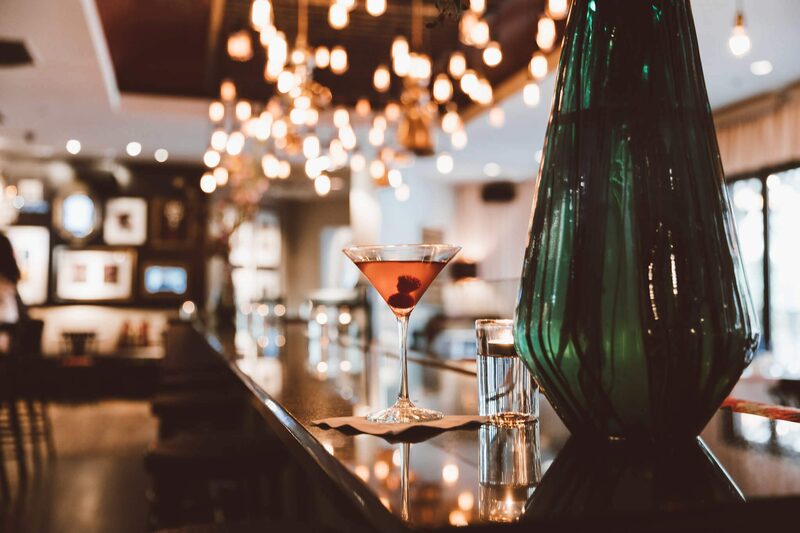 A favorite among locals and even a few celebrities, this is a weekend nightlife hotspot for the Uptown Dallas area! A DJ is available on Friday and Saturday nights after 10 pm, and you must be at least 21 years old to enter. Valet parking is available at the hotel for $30/day (with in/out privileges). My husband and I enjoyed our 5-minute walk to Klyde Warren Park, where they are known for a great variety of food served from food trucks. We ate at the park and enjoyed the beautiful sunshine while sampling nachos, classic pastrami on rye, and chicken wings. People watching was fun! It’s great to see families with kids and pets out enjoying the warm and sunny day! We love good ‘ole Texas barbeque, so for dinner, we were introduced to Pecan Lodge in Deep Ellum about a mile and a half from the hotel. It was rated one of the ten best barbeque restaurants in the U.S. While the long wait in line was undoubtedly less than desirable, the food was worth it, and Pecan Lodge earned its top ten rating! Be sure to order the brisket and pork ribs. There is so much flavor in the meat; you almost don’t need the barbeque sauce to enjoy this smoky goodness! 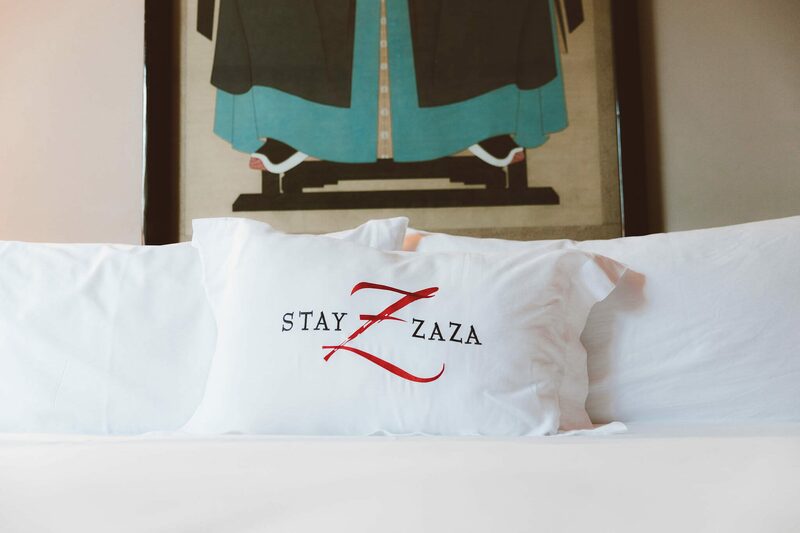 You may find a few suggestions from Hotel Zaza, which you can view here. It lists anything from sports, arts, shopping, and more! The great part about visiting any city is finding a nice place to stay, in a great location, that truly gives you a feel for the city. 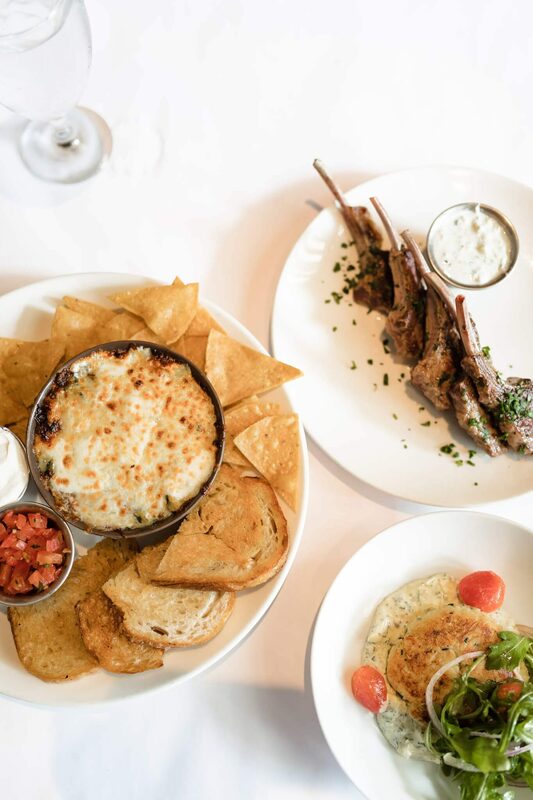 Hotel Zaza does all of that and more. The unique decorations fill the senses as you go from room to room seeing the choice of color and style all blended beautifully. Warm and inviting rooms with great amenities on the property make the hotel a great place to stay. 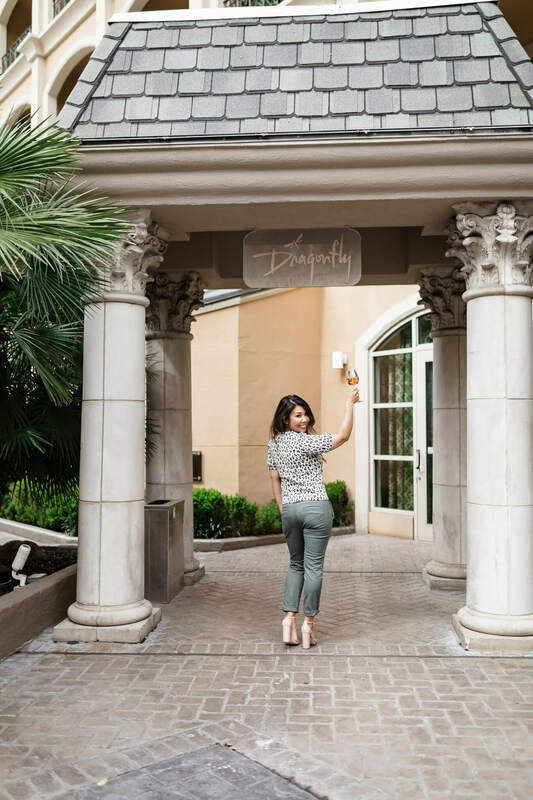 Mix that with a prime location with plenty to do within walking distance or a short ride by car (or use the free city cable car), and you have a sure winner to enjoy your getaway! Hotel Zaza is at 2332 Leonard St, Dallas, TX. Book your stay online or call (888) 880-3244. 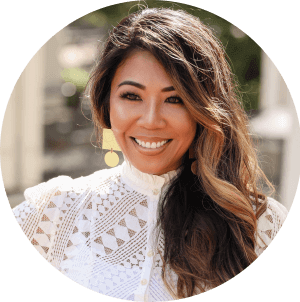 Previous Post Emsculpt Review – Does It Work?